Award-winning fleet and asset tracking that provides complete visibility of resources in real time. 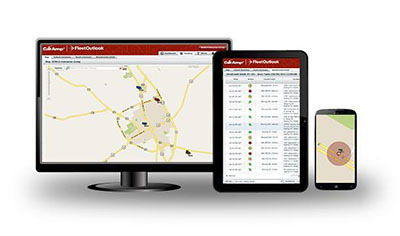 FleetOutlook is an innovative application designed to improve the productivity and efficiency of the modern mobile workforce. This solution combines a robust ﬂeet management application with an in-vehicle GPS device and wireless communication platform. The result: complete visibility into vehicle location, activity and equipment status. 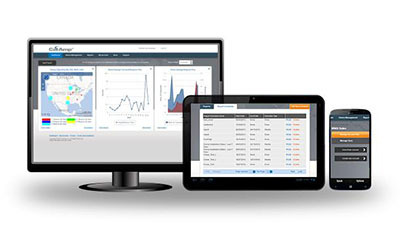 FleetOutlook empowers managers with actionable information on key performance metrics that help drive down operating costs and enhance accountability. With three editions to choose from, ﬂeet managers can select the option that is just right for their business. FleetOutlook customers beneﬁt from increased productivity, decreased operational costs and improved customer satisfaction. Managing all of your CalAmp devices is easy and convenient using DeviceOutlook, a scalable, all-in-one cloud-based application. This enterprise-class mobile device management platform provides secure, reliable access to business-critical information from your remote assets. Having a centralized location for device administration minimizes downtime by optimizing preventive and predictive maintenance tasks while proactively monitoring device state, condition and utilization.